Some friendly advice to you Greenpete … check “your” sources before you publish erroneous information. The arctic ice sheet is advancing. Not everybody colludes with NASA. NASA is a privately owned civilian agency. Not part of our government. If he was paraphrasing…….he obviously said this…repeated this. Maybe the “best graphic” for you, but totally untrue. Gore never said this. 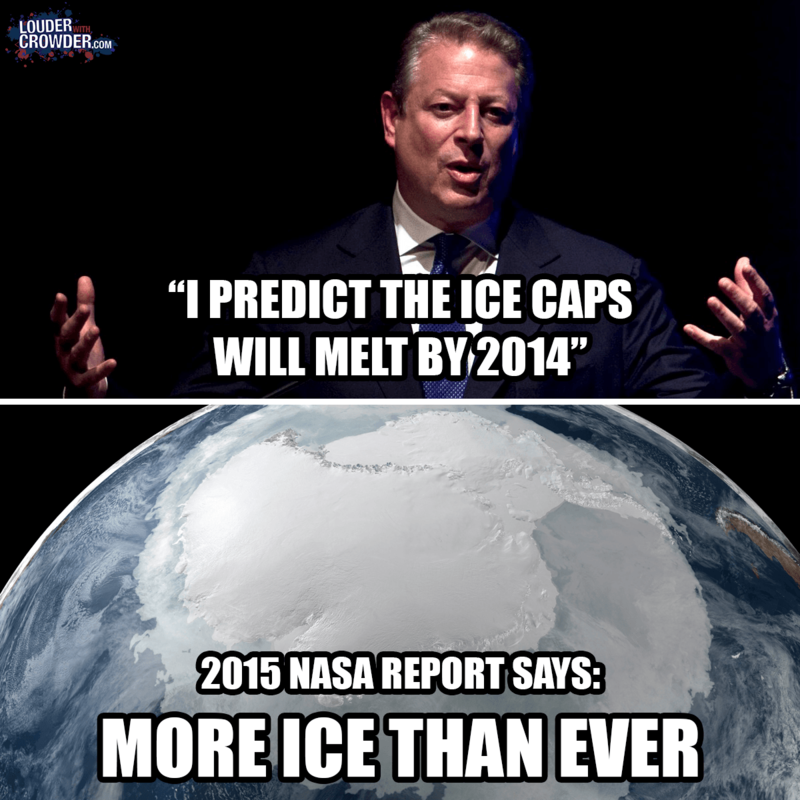 He was paraphrasing one scientist who said there was a 75% chance the north polar ice cap during some of the summer months could be totally ice-free. And the 2015 NASA report said that, although Antarctica had gained ice mass in 2014, global ice loss had actually accelerated (“the equivalent of losing an area of sea ice larger than the state of Maryland every year”). Just some friendly advice: you should check your sources before you publish erroneous information.